Our hotel is the perfect place to stay when venturing to Wilbur Hot Springs in the nature reserve just west of Williams. The history of this naturally occurring hot spring dates back centuries. The local lore is that when a wealthy visitor in search of gold fell ill, local Native Americans brought him to the Wilbur Hot Springs. When he recovered and returned to San Francisco, word about their restorative and rejuvenating properties quickly spread. Since the 19th century, the springs have changed ownership many times, though it has always welcomed visitors from all walks of life, from the hotel to the surrounding public nature reserve. The main feature at this wellness retreat is all built around their naturally-bubbling hot springs. Step into the warm mineral water and let your muscles relax and refresh your spirit. The waters are covered by a Japanese-style onsen, called the “Fluminarium,” where the water is continuously channeled through three flumes which maintain temperatures between 98 and 109 degrees Fahrenheit. The bathing area is clothing optional and open day and night. Registered visitors can stay all night: communicate with the stars in the warm pools. Stay at our hotel and head to Wilbur Hot Springs for day use, which is available to all visitors at a flat, per person rate. Head over to the Wilbur Hot Springs website to learn more about fees and policies. Plan your trip around their guided meditation sessions, complimentary yoga on the weekends, and special Chef Weekends. For a true luxury experience, Wilbur Hot Springs’ natural healing properties have been rejuvenating visitors for centuries. 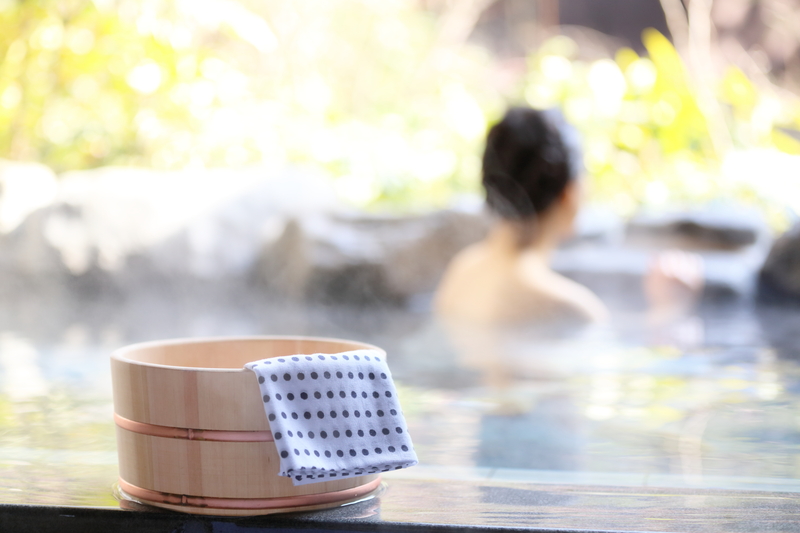 Sink into a sanctuary with a naturally bubbling hot spring surrounded by Japanese-style onsen. The Wilbur Hot Springs includes a dry sauna, mineral water pool, and outdoor bath, all kept between 98 and 109 degrees Fahrenheit all year round, with day use available from 10 AM to 5 PM. Learn more on their website!